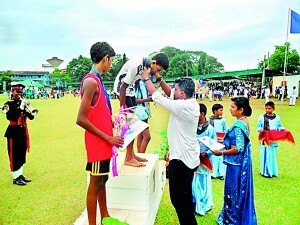 Bultjens House accumulated 195 points to edge out Dias House, which received 186 points to seal second place at the annual Inter-House sports meet of S. Thomas’ College Matara, held at the Uyanwatta stadium last Friday (15th). 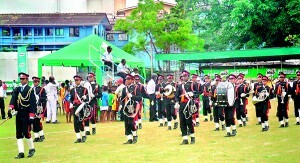 Ondatjie House was a close third with 172 points while Edirisinghe House came in fourth with 164 points. Advertising Manager of Nestle Lanka Pvt Ltd, Sugath Sujeewa Wickremasinghe, a distinguished Old Boy, was the event’s chief guest. Boys will be boys �.but big match rivalry/revelry !